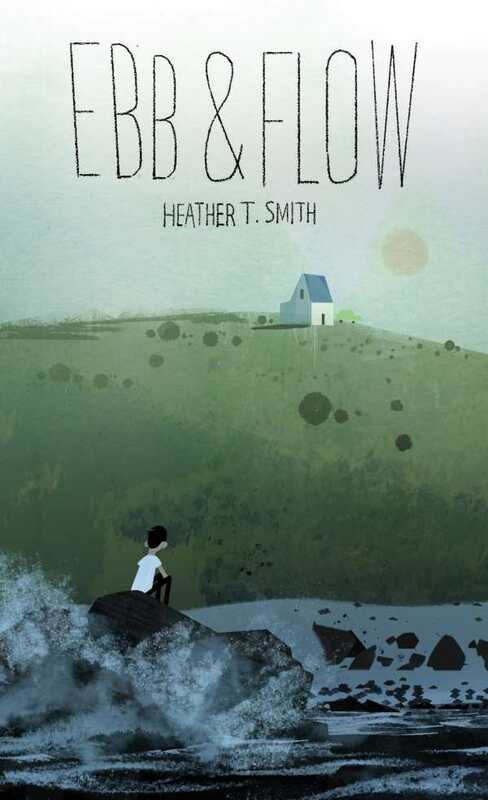 A troubled young boy is sent to his grandmother’s seaside cottage for a summer of reflection in Heather T. Smith’s Ebb & Flow, an emotionally charged YA verse novel that explores the corrosive nature of grief and regret alongside the power of love and forgiveness. Beautifully crafted, each chapter of narrative poetry creates a complete landscape of sensations, from waves crashing on the shore as Jett and his grandmother search for pieces of colored glass to the starkness of the prison walls that hold his father. The clever use of italics, line spacing, and grammatical functions give volume, tone, and emphasis to the roller coaster of emotions that Jett experiences. He is angry, loud, piercing, small, hesitant, and unsure; all are conveyed in rhythmic, eloquent lines of expression. The story is told primarily from Jett’s perspective as he turns twelve. It is easy to empathize with him and relate to his inner turmoil. Young people in particular will appreciate Jett’s ability to be good with words but bad in school. The complete story emerges in flashbacks and snippets as Jett slowly shares past events with his wise and quirky grandmother. With every reveal, each character’s motivations and personality unfold in layers that allow compassion for a bully, disappointment for poor choices, and appreciation for second chances. Thought-provoking and topically relevant for today’s youth, but also conveying a powerful message for parents and teachers, Ebb & Flow will touch hearts with its unique insight, perspective, and captivating lyrical verses.